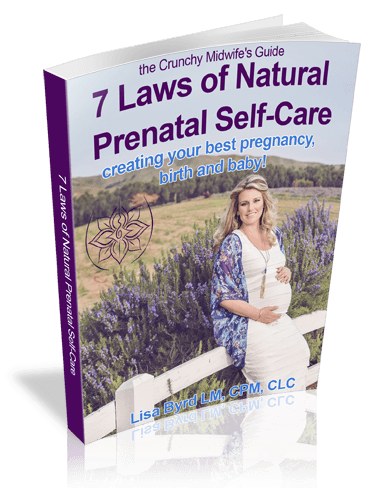 Get Prepared for the Natural, Spirit-Filled and Evidence Based Birth You Want! Sign Up Here to Reserve Your Space! Class size limited to the 1st 6 couples with paid *workbook fee. Enter your name and email address below to get started right away! After receiving your "Hold" notice using the form below, you'll get an email with a paypal link to pay your materials fee so your space is confirmed. Your $25 paid workbook fee confirms your space in this​ FREE class! Christian Childbirth Classes Help You Explore & Practice the Relaxation and Coping Skills That Will Best Support You in Labor. The greatest Benefit of Choosing a Natural Birth is the Lifelong Gift of Pure Health That You Give Your Baby! Why Should I Choose Natural Birth? Grow and Birth a Non-Toxic Baby! The average newborn has over 287 chemical toxins in her umbilical cord AT BIRTH! Give her the gift of a healthy start to life by significantly reducing the chemicals and meds she's exposed to. Fully Connect to Your God-Given Strength! God made you strong and your body intuitively knows how to perfectly grow and birth your baby! Avoid the Cascade of Medical Intervention! Keeping your pregnancy healthy and natural drastically reduces your risk for interventions, including a c-section. Natural pregnancy and birth is God's design! **Our Columbia, SC childbirth education classes are Christian faith-based and evidence-based and will support the natural birthing couple in ANY birth setting, with ANY type of care provider. In addition to our Christian Childbirth Classes, which will fully prepare you for birth, Essential Wellspring Midwifery offers preconception counseling, home birth services (prenatal care, birth, postpartum and newborn care), water birth, doula services, natural family wellness support and aromatherapy & essential oils education and coaching. Our Heritage of Birth, Born Again!